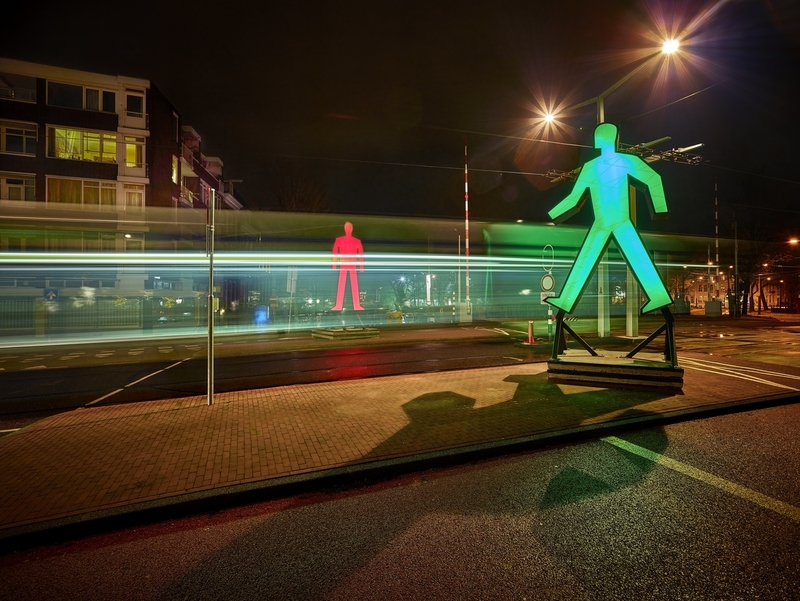 Strangers in the Light consists of two several meters high sculptures, a green one and a red one, which we recognize immediately as the two figures in all the pedestrian crossing lights we know. But although these humanoid characters may be quite familiar to us, it struck the artists that those two never saw or met each other. After studying law and journalism and finally attending the Gerrit Rietveld Academy, Victor Engbers could be considered an all-around artist. He works as a journalist but also creates large sculptures, graphic work, and takes the stage as a performance artist. The majority of his work revolves around one theme: don’t take the world for granted. 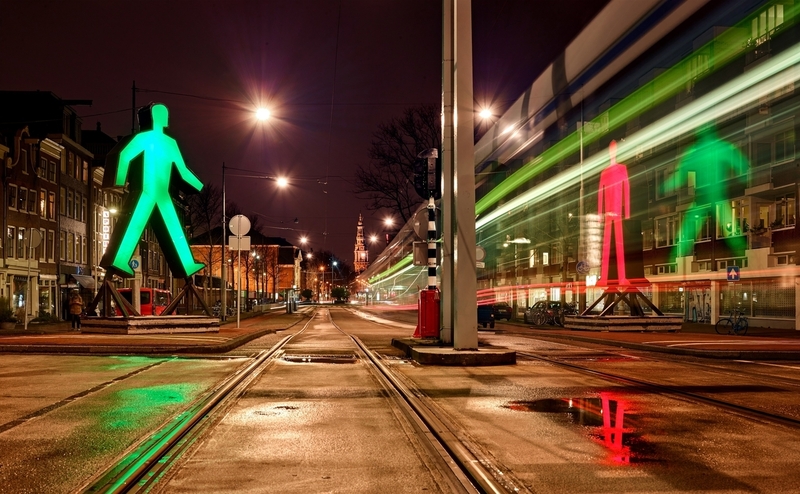 He created the work Strangers in the Light in collaboration with artist Ina Smits.